Imperial College London is very active in the East Asia region, with several key institutional partners particularly in China and South Korea. Imperial is the UK’s number one university collaborator with the People’s Republic of China including the Hong Kong Special Administrative Region (SAR). There currently are close to 2,000 Chinese students at the College, and 5,000 alumni either from China, or currently residing in China. Chinese is the largest single nationality represented at Imperial (other than UK students). Key partners include companies such as Huawei who are collaborating on the Imperial College – Huawei Data Science Innovation Lab; and AVIC which collaborates on two mechanical engineering centres, the AVIC Centre for Structural Design and Manufacture and the AVIC Centre for Materials Characterisation, Processing and Modelling. Imperial is involved in cutting-edge collaborative research, education and innovation with leading businesses and scientific institutions in China. There is significant new research being done with China in science, engineering, medicine and business including nanotechnology, bioengineering, computing, data science, advanced materials, offshore energy, environmental engineering and entrepreneurship. 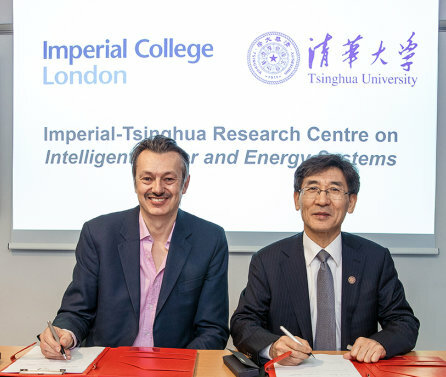 Imperial also works with scientific institutions such as Zhejiang University with whom the Imperial College - Zhejiang University Joint Lab for Applied Data Science is a key partnership; Tsinghua University; the University of Hong Kong; Shanghai Jiao Tong University; and several branches of the Chinese Academy of Sciences. 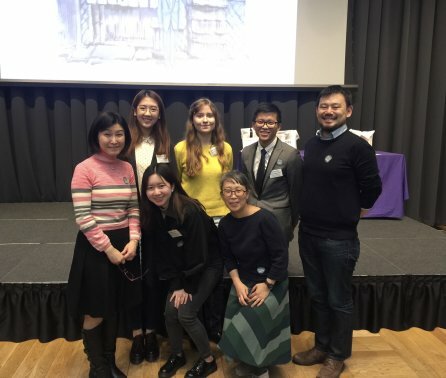 Imperial College London has a series of exciting and growing connections with leading institutions in the Republic of Korea. Imperial was honoured to welcome the South Korean President to Imperial in November 2013 and then in May 2014 Imperial’s Provost James Stirling led a senior academic delegation to South Korea. There is also an active student body from Korea, and a growing alumni presence as well. Key partners include KAIST, Seoul National University and POSTECH, with whom we are working in many areas of complementary strengths, such as plastic electronics, quantum technology, environmental science, theoretical physics, hydrogen fuel cells, mechanical engineering, brain sciences and more. Imperial is in the process of building closer relationships with several of the top institutions in Japan, and already has Memorandums of Understanding and exchange programmes in place with the University of Tokyo and Tokyo Institute of Technology. From East Asia and interested in studying at Imperial?